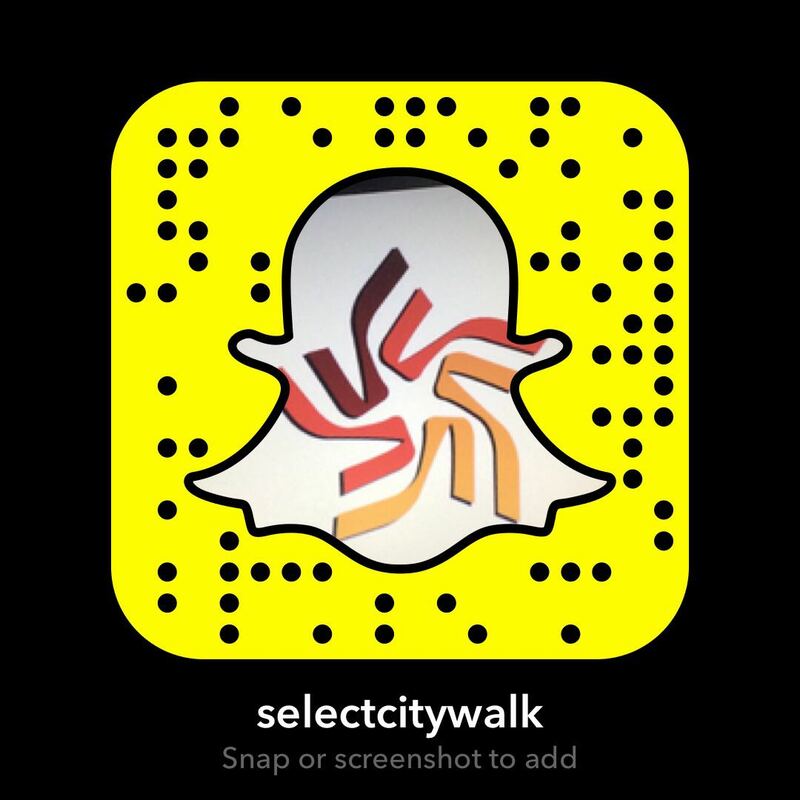 Select CITYWALK IndiaSweet Weekend Alert: The Dessertarian Fest is back! 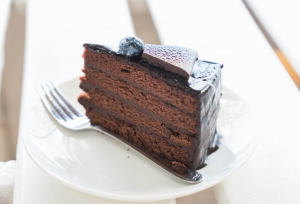 Sweet Weekend Alert: The Dessertarian Fest is back! Is there anything sweeter than enjoying your favourite desserts under the beautiful winter sky? Experience this, and more, with the biggest dessert festival in India, The Dessertarian Fest! The sweetest party in town is back with a bang. Start your Christmas celebrations early at Select CITYWALK as you pamper yourself with your favourite treats from 15th to 17th December 2017. Desserts are hard to imagine without the classics like cakes, brownies and cookies. Get your sugar fix at Cookie Closet and Foodspa. Celebrate the love for cakes with Fine Food Cellar, For God’s Cake and Maria’s Cookbook, the best cake shop in South Delhi; their decadent cakes slices and cake jars are simply exquisite. 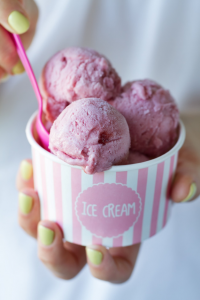 Ice cream shops in Delhi are extremely popular pitstops for desserts after a good meal. Tantalize your taste buds with the ice cream sandwiches from Pearl Boutique Bakery or the delicious fried ice-cream from All Time Café. Load up on the sprinkles and add-ons for unique ice-creams at Woodbox Café. If you’re up for a challenge, head to Turquoise Turkish Ice Cream and beat the extremely talented vendor, who will hoodwink you as he prepares your ice-cream! Even try the much-beloved ice cream parlour in Delhi Gelato Vinto for their classic menu. If popsicles have your vote, you cannot miss out on Take Home Chef – coffee popsicles, oreo popsicles, fruit popsicle and more are up for grabs! Indian desserts are purest form of love for us! 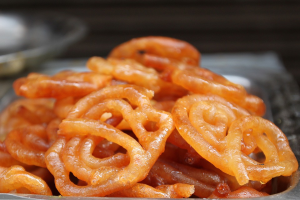 Indian sweet lovers can head straight to The Jalebi Shop, and Shakkar, a popular Indian sweet shop in Delhi. Those looking for a flavourful twist to meetha paan should look no further than The Paan Company for their exotic flavours – tiramisu, red velvet, kitkat and even ice or fire. Spot the glorious chocolate golgappas at Angel’s Kitchen. Savour the best of international flavours with macarons from Cravity, who make some of the best desserts in South Delhi, fusion macarons from Demould, yummy churros from Whish-A-Wish and galaxy donuts, often noted among the best donuts in Delhi, from Passion & Painting Desserts.. 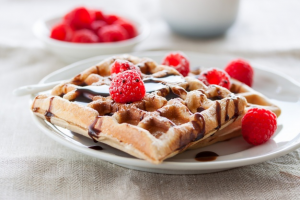 If waffles are your weakness, Daddy Waffles, Waffle Lust and Woodbox Cafés. Go nom-nom on fresh pancakes at IHOP and Get Desserts. The list doesn’t end here. Pretty Baked, Juice Art, Café Platform Nine and Three Quarters, HotMess, a leading bakery in Delhi, Sucrose, exciting activities sessions with celebrity chefs are waiting for you at The Dessertarian Fest. Do not miss out on the great Tree decoration festival, where 250 students from different schools will decorate the Christmas tree with Krispy Kreme doughnuts. We look forward to meeting you, happy eating!